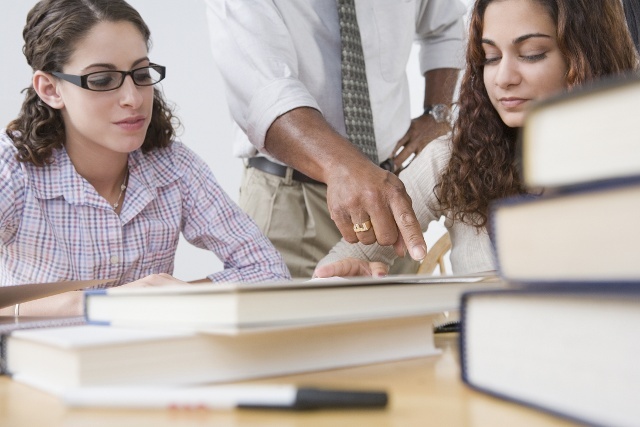 If you are considering advanced placement courses, you undoubtedly have a lot of questions. You don't want to set yourself up for failure if the challenge is too great, but you don't want to ignore invaluable learning opportunities, either. Let us answer some of the questions that are likely plaguing you. We want to make the decision about whether to pursue advanced placement easier on you. What Types of AP Classes Are Available? There are almost 40 different types of AP classes as of this writing, but their availability varies by school. The most popular advanced placement courses are in history, English, calculus, and biology. Some schools may offer foreign language AP classes as well. How Rigorous Are AP Classes? AP classes shouldn't be taken lightly — they're meant to simulate college courses in their depth and volume of study required. Homework and testing are rigorous, and you are given more autonomy than in traditional high school classes. Advanced placement courses are excellent at preparing you for college, but they're not for everyone. A low grade in an AP class does not benefit you. If you are not yet ready for more rigorous coursework and independence, then it’s better to skip the AP classes and focus on being successful in traditional high school classes. What Does AP Testing Entail? An AP exam is the culmination of all of your advanced placement coursework and efforts in a particular subject area. It's the chance to show what you have learned and to be rewarded by earning college credit. (Not all colleges accept AP credit; more on this in a moment.) An AP exam typically runs for two or three hours and features multiple choice and open-ended questions to gauge students' subject-area knowledge. Not all AP exams are in paper-and-pencil format. Some foreign language exams are taken via computer. The Studio Art exam requires students to submit portfolios of their work. Usually, an AP exam is administered at a school during the school week. If your school does not offer AP testing for the subject you are most interested in, find out if the test is being offered elsewhere in your area. Some students opt to visit other local schools to take advantage of a specific AP exam. Tests are typically administered in early May and cost $93 each. Fee waivers and financial assistance are available for those who wish to take the tests but cannot afford the cost. What's a Good AP Score? Final AP scores typically are reported in July and are on a scale from 1 (“no recommendation”) to 5 (“extremely well qualified”). The score is weighted in comparison with those of other students who have taken that specific AP exam. Detailed score reports indicate the results in each section, so students have insight into the areas in which they need improvement. Scoring guidelines are discussed in more detail here and here. AP classes are specifically designed to help students prepare to do well on the AP exams. Interestingly, students don't have to take an AP test at the end of their class, and they don’t even have to take an AP class in order to take the AP test. But here’s a word of caution: It would be very difficult to do well on the test without taking the corresponding AP class. Note that AP test scores are sent only to the colleges you specifically request they be sent to. If you prefer, they may also be sent solely to your home. Will I Get College Credit for AP Classes? College credit from AP tests varies by institution. If college credit is your main reason for considering AP courses, speak with a college representative about what to expect when submitting scores for credit at a particular college or university. The colleges that do accept AP tests for college credit typically will only accept scores of 4 or higher. For cooperating universities and colleges, the AP test counts for credit in lower-level freshman classes (such as prerequisites or core classes). This frees you to focus on interesting electives and higher-level or major-specific coursework. It also may save you tuition. Should I Take as Many AP Classes as Possible? While a challenging course load looks attractive on the high school transcript for college admissions, it is possible to go overboard. The stress of loading up on too many AP courses at once may have adverse effects on some students’ mental and physical health. The time put into studying for multiple AP courses may also detract from other activities that are more likely to make you stand out from the crowd. For example, if taking an extra AP course means you will drop your idea for a unique, independent research project you really care about, then that AP course might not be the best choice. Keep in mind that honors courses, International Baccalaureate (IB) courses, and other challenging coursework can be just as attractive on the high school transcript as AP courses. When selecting classes, you should favor those in which you are likely to learn the most, follow a passion, build critical and creative thinking skills, or go in-depth in a particular subject. Ask the AP teacher — or students who have been through the course — what it will cover and how it will be taught. Does the AP course really offer the greatest educational value of the options available to you? For some students, AP classes present a great chance to prepare for college, expand knowledge horizons, and maybe even gain some college credit before stepping foot on campus. For others, AP classes may be too difficult, resulting in a drop in high school GPA and a blow to self-esteem. Before you decide to give advanced placement courses a try, make sure you are prepared for what's to come. To learn more about the AP program, visit apstudent.collegeboard.org. To perform your personal best in all your courses, click below to learn about a Study Smart! Study Skills class or recorded webinar from Doorway to College Foundation.